PokerStars parent The Stars Group is the latest operator to enter the burgeoning New Jersey sports betting market. On Thursday, it launched its BetStars platform for mobile devices in partnership with Resorts AC. The company already offers its PokerStarsNJ and PokerStarsCasinoNJ platforms with Resorts in New Jersey. It’s just under four months since New Jersey’s Monmouth Park racetrack took the state’s first legal sports bet, and the market is rapidly filling. 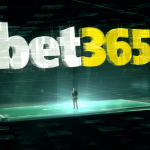 BetStars becomes the eighth digital sports betting app in the market. There are also eight land-based sports books. 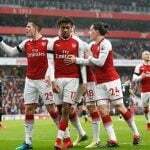 The start of the NFL season saw a flurry of new entrants, as companies scrambled to open in time to book some lucrative football action. FanDuel, William Hill, and Caesars all went live in the week prior to NFL kick-off, with 888 joining the fray at the beginning of this week. The online poker giant became an online sports betting giant in July when it completed its $4.7 billion acquisition of UK online sports powerhouse Sky Betting & Gaming (SBG). The deal made the Stars Group the largest publicly-traded online gambling company in the world, according to CEO Rafi Ashkenazi. While poker has plateaued, and in some regions declined, sports betting is a growth vertical, and the acquisition puts the group in a strong position to make an impact the gradually developing US state markets. The company’s vice president of US strategy and operations, Matt Primeaux, said it had received permission from the UK Competition and Markets Authority to employ SBG technology for customers in New Jersey. The BetStars sports book allows customers to access casino, poker, and sports betting from a single account and wallet. In-play betting and early cash-out options are on the menu, as well as enhanced bonuses for games such as professional and collegiate football, basketball, baseball, golf and hockey. Sports bettors staked $95 million in August, more than twice as much as in July, the state’s first full month of operations. Some $21.7 million came from online or mobile sports betting, a segment that is predicted eventually to come to dominate the market. 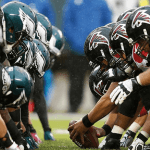 September is guaranteed to be bigger still, driven by a raft of new operators in the market and betting on NFL action. 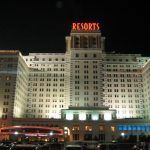 “With the new casinos that opened in June [The Hard Rock and Ocean Resort] and the addition of sports wagering options, including online alternatives, the gaming industry has experienced growth rates in July and August that have not been achieved in years,” David Rebuck, director of the New Jersey Division of Gaming Enforcement, said this week.